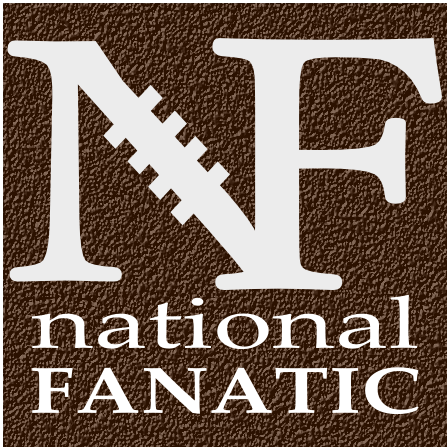 **UPDATE: 6 Correct … National Fanatic (James Fedewa) placed 74th (out of 106 participants) in The Huddle Report’s Mock Draft Contest (where draft experts in the industry participate in a contest to determine each years best mock drafts). The NFL draft creeps closer and closer and rumors are swirling up everywhere. Tomorrows mock drafts will change, in fact, in 6 hours the mock will (might) change. They say an artist’s work is never complete, so neither is a mock draft. Do you FanDuel ? 3 San Diego (4-12) Laremy Tunsil, OT, Ole Mis San Diego had the worst pass-blocking grade in the league last season. Rivers is a little safer for the remainder of his career. 5 Jacksonville (5-11) Jalen Ramsey, S/CB, Florida State Tweener by position and experience (FS/CB) Elite track athlete. Will the Jags use him correctly? 7 San Francisco (5-11) Paxton Lynch, QB, Memphis Chip gets a new toy to play with and Kaepernick wants out. 8 Cleveland (3-13) Laquon Treadwell, WR, Ole Miss Top WR prospect and a new weapon for RGIII. Great pick, but they were expecting Paxton Lynch to be available. 11 Chicago (6-10) Jack Conklin, OT, Michigan State The Bears do not have a left tackle on the roster, but a 5-tech DE would look great here too. 12 New Orleans (7-9) Shaq Lawson, DE. Clemson Saints need a defensive rebuild. Shaq is a great piece to put pressure on opposing QB’s. 18 Indianapolis (8-8) Noah Spence, OLB, Eastern Kentucky One of the most talented pass rushers in the draft, but comes with some character issues. 19 Buffalo (8-8) Sheldon Rankins, DT, Louisville Sheldon slides a little bit, but he’s a perfect fit in Buffalo. The Ryan Brothers are both happy. 20 New York Jets (10-6) Connor Cook, QB, Michigan State Cook is better than you think and NYJ moves on from Fitz. 24 Cincinnati (12-4) Robert Nkemdiche, DE/DT, Ole Miss Tons of talent, but a slight risk factor. He has Bengal written all over him. 26 Seattle (10-6) Germain Ifedi, OT, Texas A&M Filling in the holes that free agency left the Seahawks (o-line help needed). Feels like James Carpenter 2.0. DT could also be a target now that Mebane is gone. 27 Green Bay (10-6) Andrew Billings, DT, Baylor There’s a new bull in town. Billings is massive and takes over for BJ Raji. 28 Kansas City (11-5) Mackensie Alexander, CB, Clemson A bit of a slide for Alexander (eco maniac), but KC is happy with it. Sean Smith replacement. 32 Cleveland (3-13) Kevin Dodd, DE, Clemson A new pass rushing OLB in Cleveland. Dodd has prototypical size for the position, but he’s a 1 year wonder. 33 Tennessee (3-13) Vernon Butler, DT, Louisiana Tech NT aren’t supposed to be this quick. 36 Baltimore (5-11) Joshua Garnett, OG, Stanford Best guard prospect in the draft and helps improve the run game. 39 Tampa Bay (6-10) Shilique Calhoun, OLB/DE, Michigan State Good leader, nice game and should develop into a very good pass rusher. 40 New York Giants (6-10) Will Fuller, WR, Notre Dame Fast Fuller will make Eli’s stats look amazing. He’ll only need 2 or 3 balls per game, and he’ll get 7 or 8 TD’s year one. 42 Miami (5-11) Artie Burns, CB, Miami Doesn’t travel far from campus. 48 Indianapolis (8-8) Jason Spriggs, OT, Indiana Great left tackle prospect, should go earlier. 59 Kansas City (11-5) Adolphus Washington, DT, Ohio State Big enough to play 5-Tech DE, with some pass rushing ability. 63 Denver (12-4) Christian Hackenberg, QB, Penn State 5 Tech DE is the target here, but Denver gets their future signal caller here. Posted on April 27, 2016, in Football, Free Agents, Mike McCoy, Mock Draft, NFL, NFL Draft, NFL Mock Draft, San Diego Chargers. Bookmark the permalink. 2 Comments. I like Cravens to the Browns but Treadwell is a reach and not the best available and Dodd is just a terrible fit. Yes, Treadwell is a bit of a reach, but he’s the #1 WR. He’s not a blazer, but he’s an aggressive and physical player and I can see Hugh Jackson taking him early. (plus, it’s good to be different). Thank you for the reply!